I recently took this Diplocentrus peloncillensis photo. We were fortunate to take this pic in the Peloncillo mountains of SE Arizona. 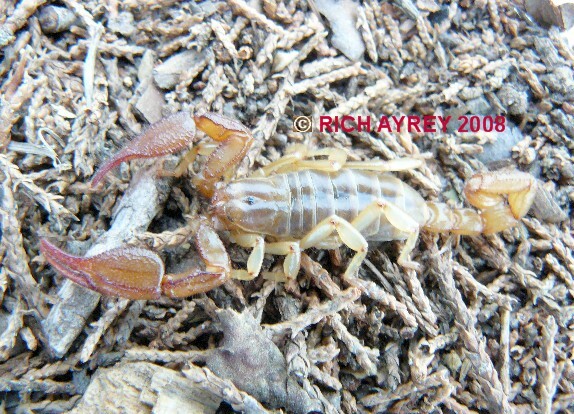 It is a very remote and rugged area, which is why these scorpions are rarely seen. You have to brave the drug smugglers, illegal alien smugglers and armed guards and ranchers to get to the location to photograph this species of Arizona Scorpion. Arizona Scorpion page created 01/05/08.